Perfect weather in Tampa on Saturday brought out thousands to cheer on there favorite golfers at the Outback Steakhouse Pro-Am. This is the PGA Champions Tour with professional, celebrity and amateur players. Over the past 7 years $3.4 million has been contributed to local charities. 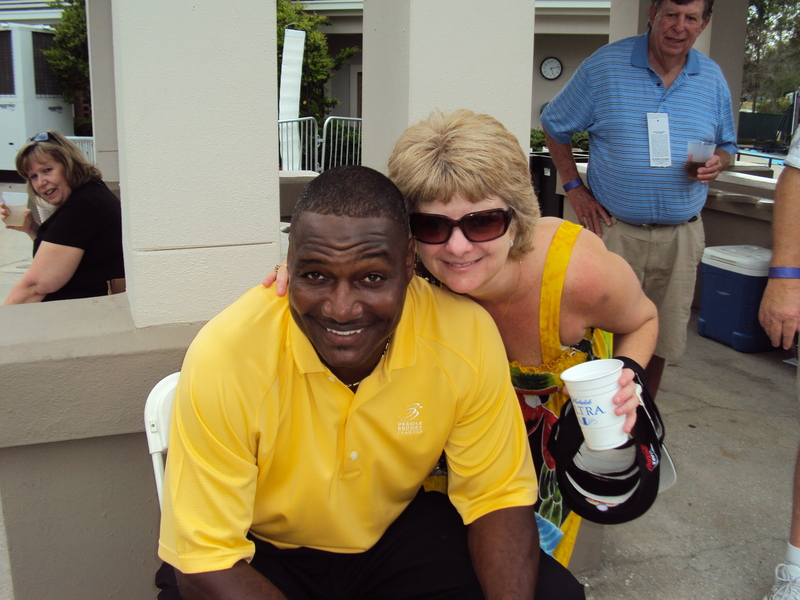 At the end of play, my wife Jenny got a chance for a photo op with the popular Bucs former linebacker Derrick Brooks who was very cordial after a long day on the course. Perfect weather, great food, great friends, awesome drinks and oh, I almost forgot great golf. You can catch all of the action on NBC with wrap up play today, Sunday, April 18, 2010.